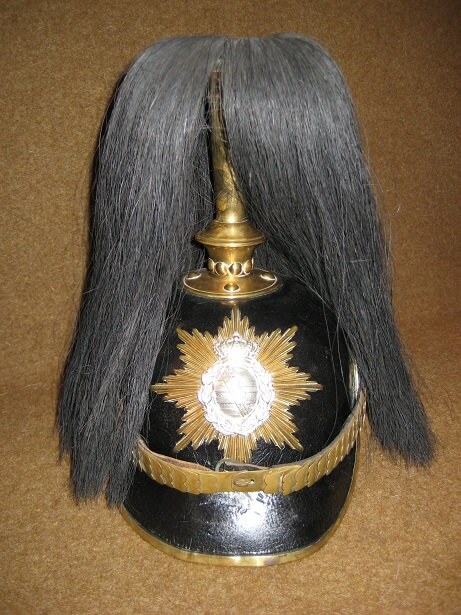 Certain Regiments in the Imperial Army, were given the right to wear horse hair parade plumes. Recently I had to do some solder repairs to the OR's parade trichter which came with James' Garde Dragoner SOS helmet. Before sending it back after restoration, I took some pictures as I don't believe we have discussed these before. Anyone with an officer example, please add some photos to this post. Anyone with a Bavarian or Hessen example please do the same so we can see the differences. 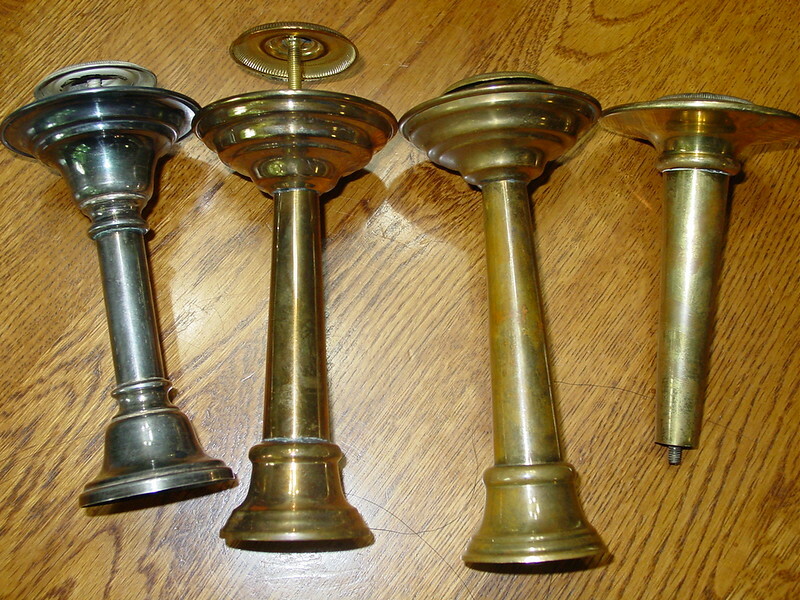 There are 3 parts to the trichter, the column, circular top and horse hair parade plume. James kept the plume as I did not need it, I am sure he will post pictures once he sees this thread. 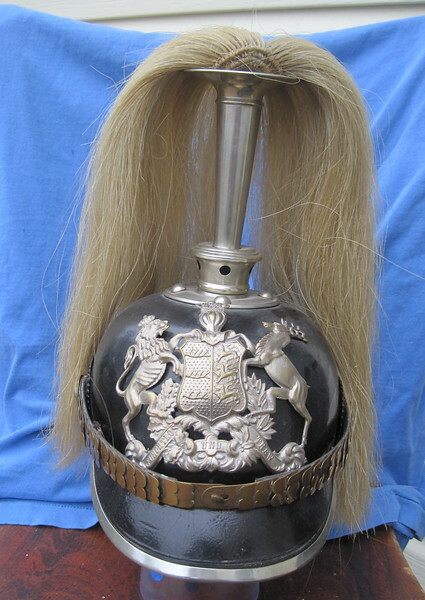 The horse hair plume comes in 3 colours, white, black and red. A red plume was always worn by musicians. I do not know how a "plume colour" was assigned by the High Command. Garde Regts. wore both black and white. 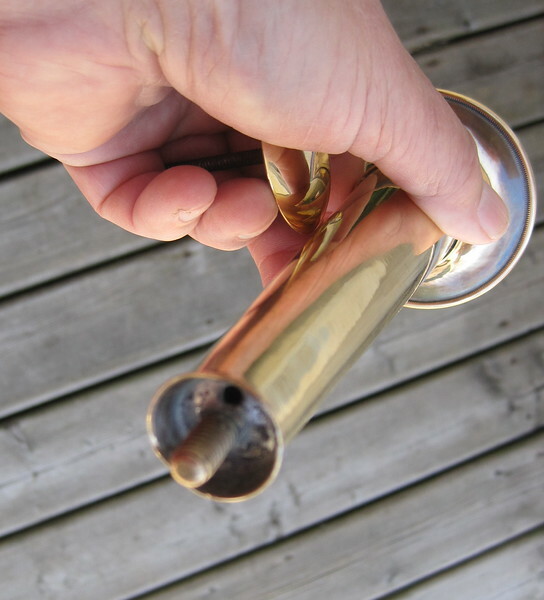 Trichters come in brass and neusilber white metal, they match the fittings on the helmet. 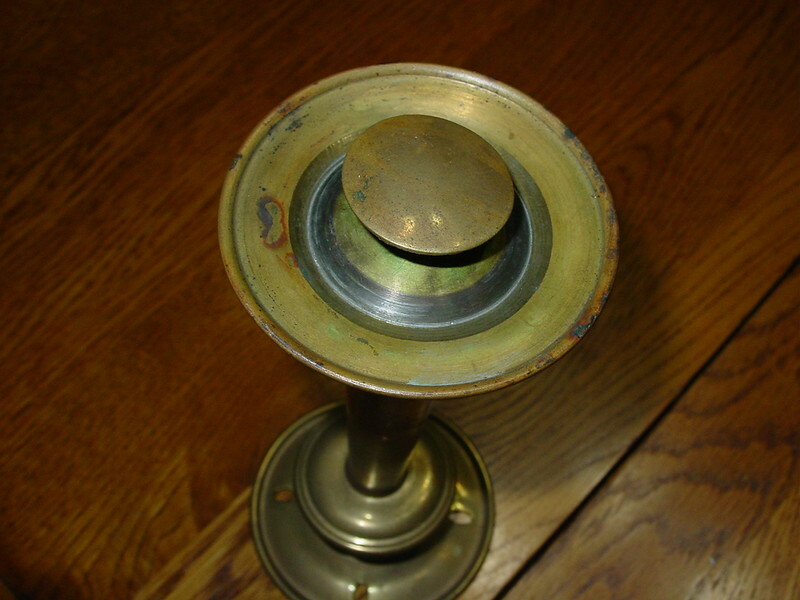 The top of the column, there is a soldered nut on the inside of the brass disc which can not be seen here. 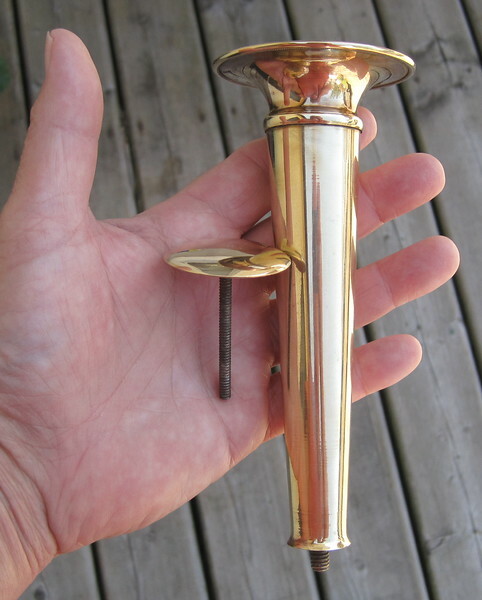 The threaded rod soldered to the brass top screws into this nut. In this case, the nut had come unsoldered and was bouncing around inside the column. I had to unsolder the disc, resolder the nut and then resolder the disc. 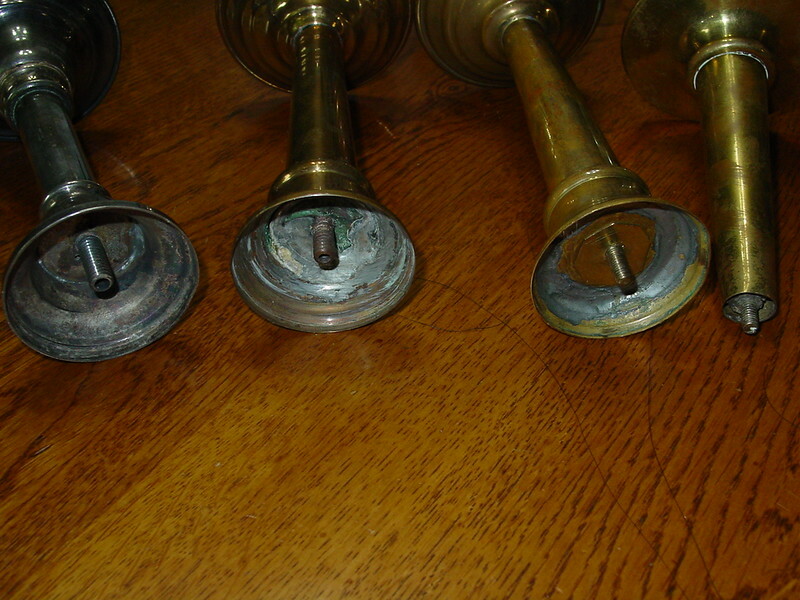 The brass top is screwed down and sandwiches the plume onto the column. The screw post which holds the column onto the spike neck. 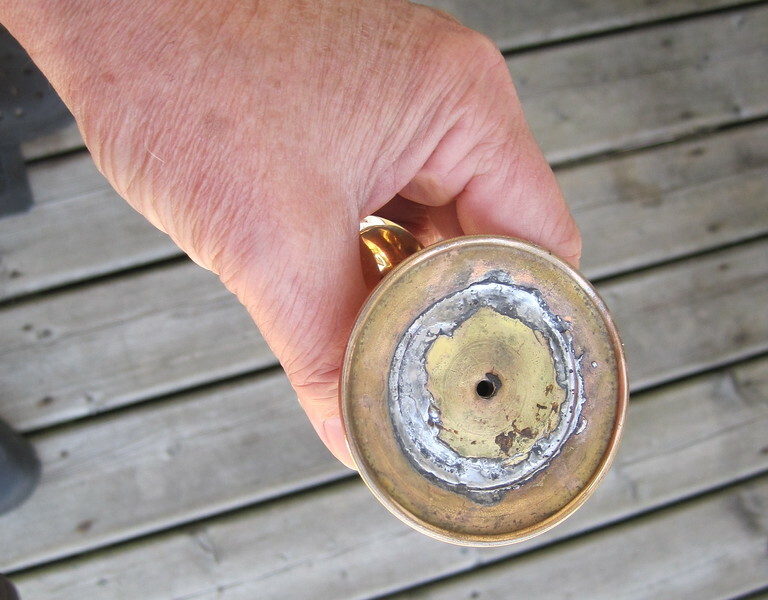 The small brass disc has holes in it to release hot air during the soldering process. Some pictures of my JR119 private purchase helmet, from the 1880's that was purchased off Ebay years ago. The Regt has silver buttons on their tunics and silver helmet fittings with contrasting brass chin scales. Consequently, the trichter is neusilber. My apologies for the slight tilt on the helmet, it was spitting rain today and these were taken quickly. Obviously, the plume has been misshapen after 100+ years but I have chosen to leave it alone. 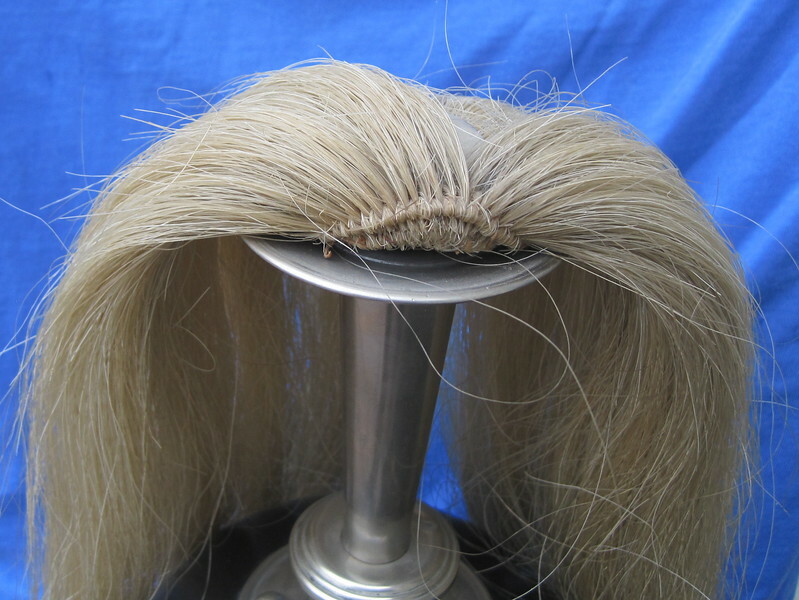 A close up showing how the horse hair plume is stitched together. 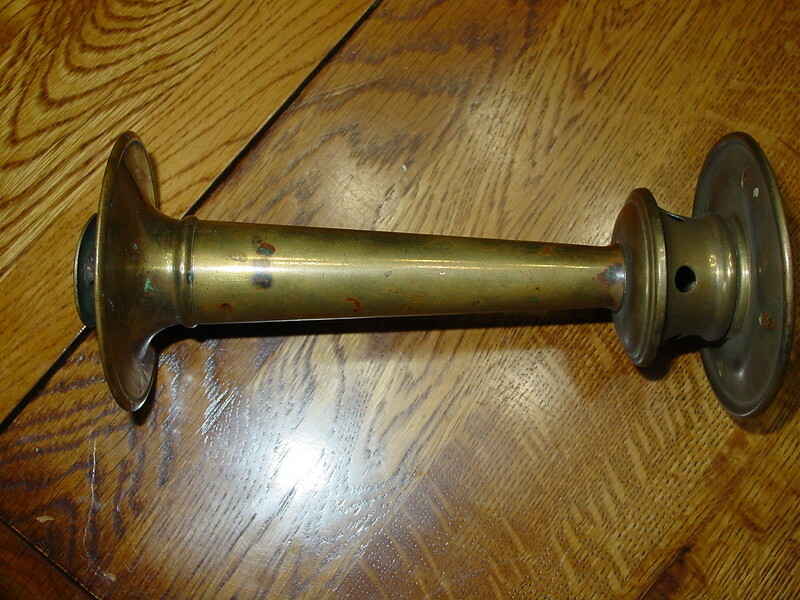 The screw post disc which holds the plume onto the column. There were photos and description of this helmet on the forum years ago but they of course are gone now. I will repost in the Pickelhaube discussion section soon. 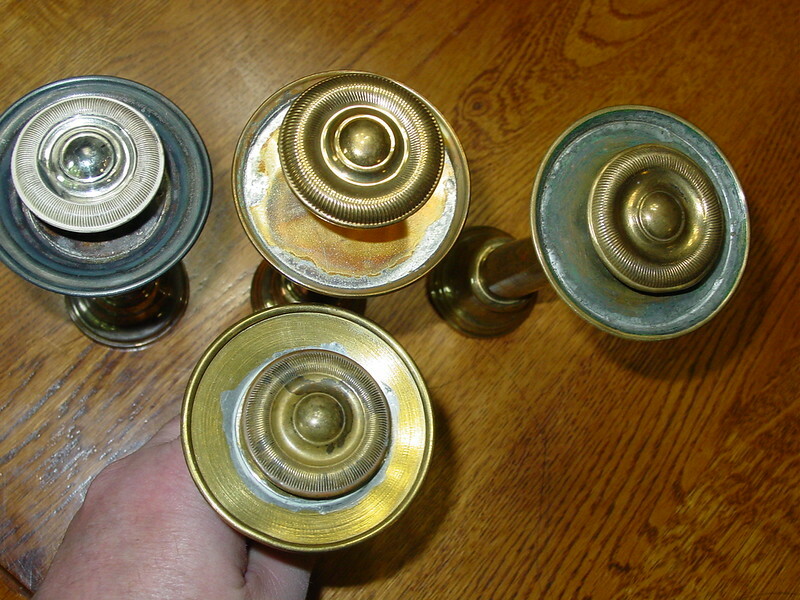 The Trichter on my Model 1867 Saxon has five parts, not three. 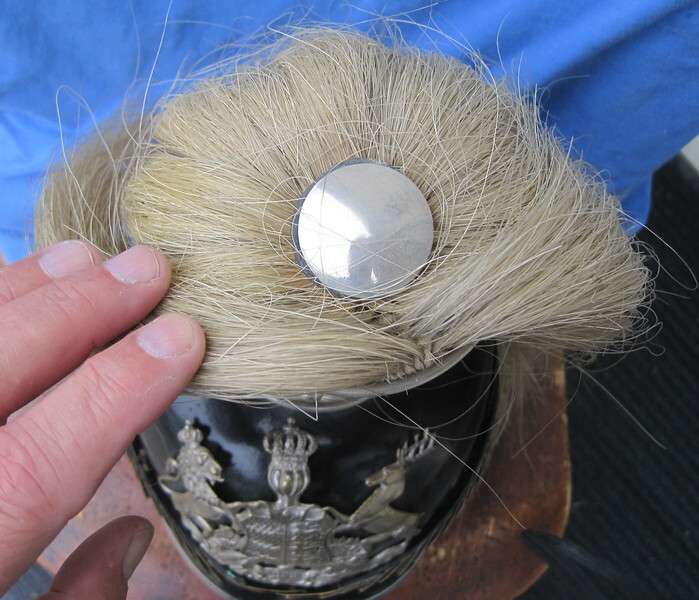 There is a thick leather disc attached to the top of the funnel on which the horsehair plume rides, and there is a (somewhat thinner) leather disc underneath the top button. My Trichter appears to be the same shape and size as the one above. Did the leather discs go away on later models? Mine is a private purchase enlisted, so could the leather discs be a private purchase thing? There is absolutely no doubt that the leather discs are original. My apologies John, my "3 parts" was relegated to a description of the column and top disc only. As you describe, there are other leather disc parts associated with the actual harrbusch construction. As I stated, I was rushed today in taking pictures due to rain but I will post a top shot with the screw post disc removed. This will allow members to see the rest of the construction. It would be very interesting, to learn how the black or white plume was assigned to each regiment. Even today, I was watching the Royal wedding and the Horse Guards are wearing their parade "trichters"...red and white but the colours used make no sense based on the German custom. So, let us ask our UK members for a clarification. As to the color of the plume. I was thinking it may go back to the reorganization of the Prussian Army in 1814. When the Prussians established the Grenadier Regiments as 3 battalion regiments, they set them up with the 1st and 2nd battalions as regular trained infantry, the third battalion was trained in light infantry tactics and was the Fusilier Battalion ( although, all in the regiment were called Grenadiers). The first and second battalions wore white belts while the Fusilier Battalion wore black belts. So maybe this carried this over to the plumes as well? Thanks for posting the link about plumes. On checking my Napoleonic references I found that the Prussian Foot Guards were also organized on 3 Battalions. With the first battalion being the Fusilier (black belts) and the other two, Musketeers (white belts). I should point out that the Fusiliers were selected for their physical size, generally being the smaller men in the regiment. Here are 4 various types of officers, note various lengths and type of connectors etc.